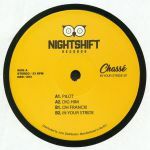 Review: Spanish label Night Shift welcome Belgian duo Chasse to drop some seriously classy dancefloor jams for those who really know how to move. "Pilot" is an effervescent cut that places musicality at the front of the mix, all nimble keys and live drum funk of the highest order. "Dig Him" is an uplifting disco workout that loops it up in all the right places, and "Oh Franck" pumps the rhythm section a little more to head towards the house heads. "In Your Stride" is an unabashed reworking of "Boogie Nights" that takes on a dreamy quality as it chops the original into a fresh configuration. Review: The fourth installment on Madrid based Night Shift Records is served by label boss Javi Frias, offering a couple of top notch disco edits. 'Just Give It Up' is the A side track, a obscure late 80s boogie track with a house feel that has been retouched and extended to get the maximun pleasure on the dance floor. 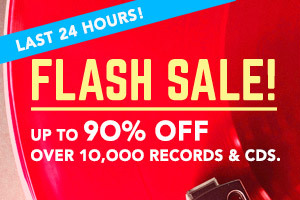 On the B side you can find 'Come On And Take Me', a disco funk mover with a killer groove, nice vocals and tight synths that surely will make you scream for more.